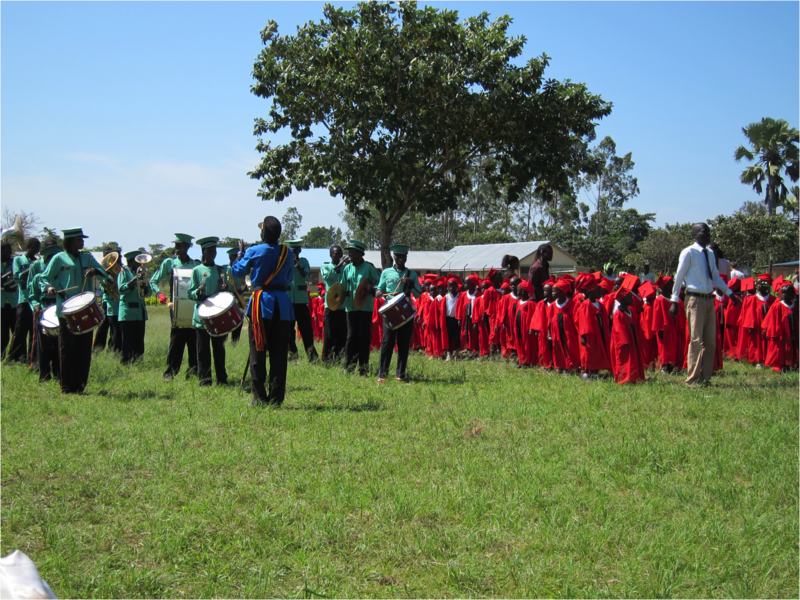 GMI-UK now run a Nursery, Primary and High school in Paminano, just outside Gulu – Northern Uganda, with our partners James and Phoebe Ochan. Nearly 600 children attend our Nursery and Primary schools, and 300 in our newly opened High school (years 7 and 8). Their curriculum consists of Maths, English, Science and religious studies lessons. The school also enjoys play sessions with outdoor activities including football where they have had tournaments with neighbouring schools. Pupils are now regularly graduating from infant to primary school, and in 2017 to our high school in nearby area. These are really joyous occasions, not only for the children, but for the families and community of Paminano, a village that has been through so much pain and suffering after the war that took place there, a village which can now look forward to their children receiving the education they so desperately need for them to have hope and a future. We are therefore asking people to assist us in developing this work. We would like to have every age covered right through to University for 18 year olds. Bethel Christian School in Paminano is registered with the British Council, and is working together in partnership with schools in the UK to help enrich each others curriculum and build an understanding of different cultures and education. 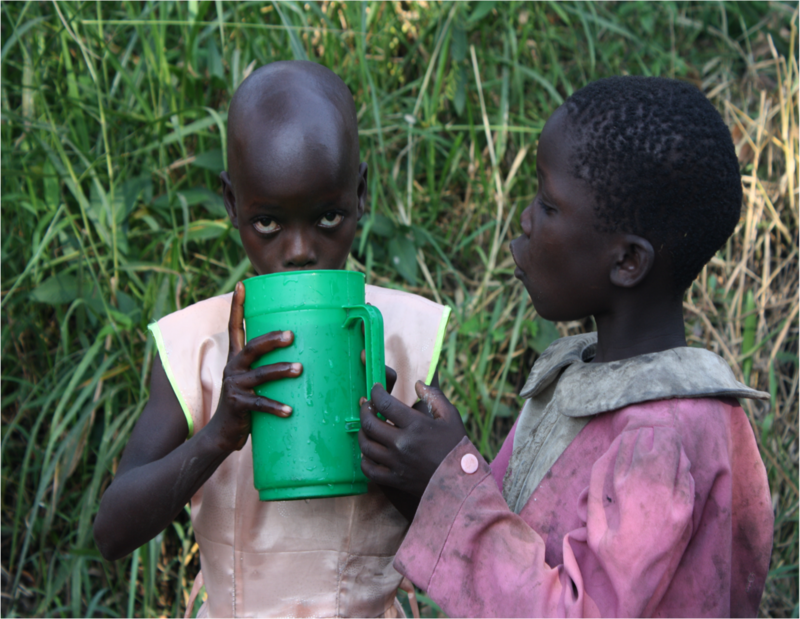 We currently provide fresh water wells in communities where the need is greatest. We work in partnership with Gulu District Council in order to identify these communities. GMI also provides oxen and farming equipment to communities enabling resurgence of local agriculture and building of self sustenance and economy. 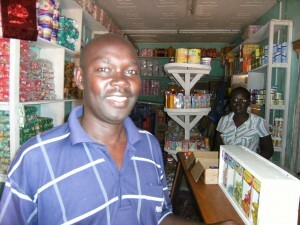 The churches in Northern Uganda are working together to make a difference in their communities. They are proactive in helping GMI find communities to aid and support. We are working on projects to provide huts for living in and buildings for churches. GMI are also working with developing small enterprises and encouraging local people to develop business ideas such as selling rice, construction and gardening services. Our Health & Hygiene programme involves educating communities in the importance of basic hygiene procedure and providing necessary practical resources such as soap, vaseline and mosquito nets. As part of this programme we train and resource local men in building projects to improve their latrine facilities; once again helping develop local business and economy. 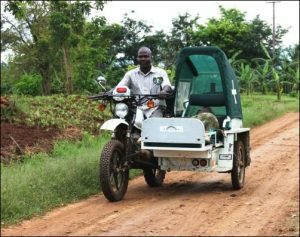 We are working in partnership with PONT,Mbale providing training in primary health care to 30 communities in the Gulu district, along with providing emergency transport in the form of some really cool motorbike ambulances provided by the Rotary Club UK. GMI-UK are passionate about enabling and empowering adults and young people to serve the disadvantaged communities in Northern Uganda, through mission and practical works.